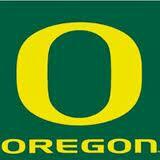 The Great Debate: Who is Better Bama D or Oregon’s O? Since today is election day, I picked up this interesting article today about the great debate that is taking place among some college football experts about who is better- the Oregon offense or the Bama defense. After Saturday's performance at LSU, some college football experts are already saying that Oregon or Kansas State wouldn't have a problem against the Bama D although it was pointed out that Alabama is STILL the only team in the nation to hold opponents to only 10 points a game. Fox's Eddie George and ESPN's Robert Smith both said they think Oregon or Kansas State is BETTER then the Tide because of the way the Tide's defense played Saturday against LSU. Although, both seemed to ignore the fact the Oregon gave up 52 points to USC in a WIN and the last two times they have faced SEC teams (LSU and Auburn) they lost. Jesse Palmer, who seemed to be the voice of reason, said that he wasn't worried about the Alabama defense and that LSU quarterback Zach Mettenberger had to make almost NFL like throws at times because the Alabama secondary had great coverage. He also said if other teams (including Texas A & M) had to do the same, good luck to them. See what you think of Oregon's argument that they are better then the Tide's defense in this link from ESPN.